Enjoy an eight hour tour from Seattle, Washington, to the most colorful festival in the Northwest, the Skagit Valley Tulip Festival. 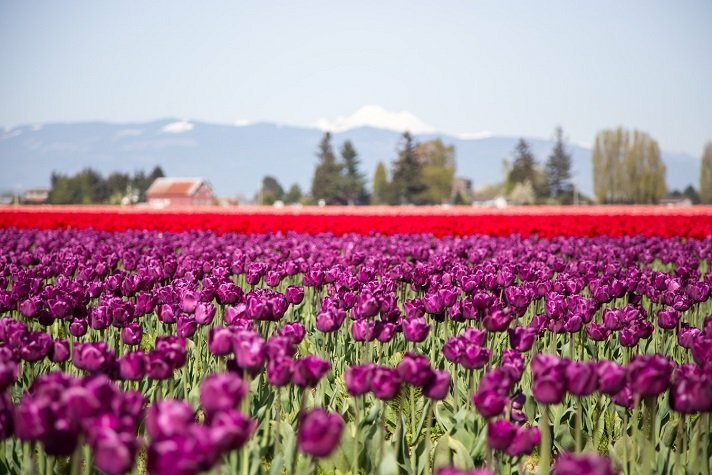 Skagit Valley is the largest tulip growing region in the U.S. See hundreds of acres of brilliantly colorful tulip fields set among rolling hills. You can ask questions of the tulip farmers, buy beautiful field fresh flowers and order bulbs. Then you’ll visit the beautiful gardens at Tulip Town and Roozengaarde. Walk through row after row of gorgeous tulips. Remember to bring your camera to capture the beauty. Your next stop will be La Conner, Washington. Evening Magazine’s readers poll named it “Town That Most Captures The Northwest Spirit.” La Conner has many boutiques, galleries and specialty shops. Have lunch at an award winning restaurant. This tour includes pick up at the Museum of Pop Culture in Seattle and return. Book this through Goldstar and save $70 (50% off) the regular price.